Obituary for Elizabeth Delores (Neal) Brown | Henry Funeral Home, P.A. 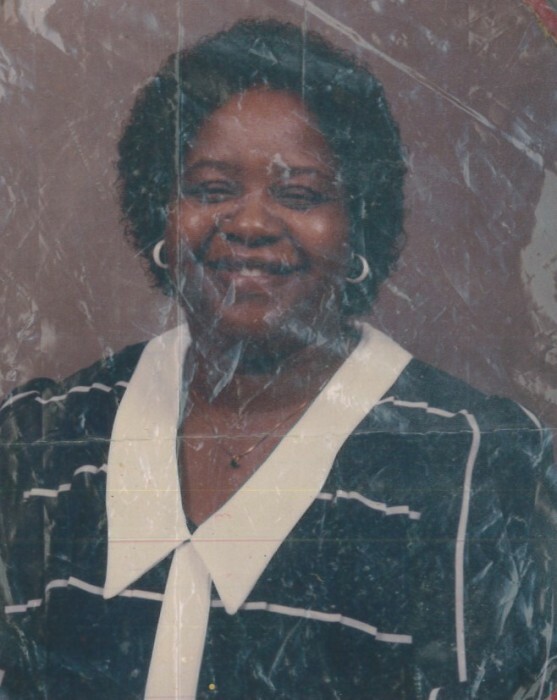 After a lengthy illness our beloved Elizabeth Delores Washington Neal Brown, 76 has transitioned from this earthly to heavenly reward on Thursday, January 17, 2019. Elizabeth was also known to many as “Mom, Granny, Lois, Little Momma, and Ms. Jackson. She was born to the late Adam L Washington and the late Delia Evans. Elizabeth was educated in the Dorchester County Public School system. She was employed by several businesses: Bayshore, Con Agra, Coldwater Seafood, McWilliams Cannery, and Hartman and Bateman. Her last place of employment was with Block and Geggerheimer, which she worked for 21 faithful years. She loved to cook for her family and friends. On November 13, 1961, Elizabeth married Gaither Douglas Neal. Nine children were born from this union. Mr. Neal died September 14, 1978. Elizabeth married Otis A Brown May 19, 1979. They remained married for 19 years. Mr. Brown died January 9, 1998. Her children where the love of her life. Elizabeth attended church with her family when she could in her earlier years. She attended Church of God of Prophesy under the leadership of Elder Thomas L. Murray and Pastor Edna Murray in Eldorado where she served faithfully. Elizabeth leaves to remember and cherish her memories 8 loving children: Tyrone Washington (Naomi) of North Providence, Rhode Island, Dieness Washington and Sharon Neal both of Delmar, Maryland, Regina Neal of Fruitland, Linda Cooper (Rodney) and Wanda Dabney (John) both of Cambridge, Gwendolyn Jefferson (Gregory) of Hurlock, Keith Neal (Cornelia) of Edgewater, Maryland; 22 grandchildren, 37 great children, 2 great-great grandchildren, 4 nieces, 1 nephew, and a host of cousins, other relatives and friends. In addition to her parents, grandparents, and two husbands, she was preceded in death by 3 children, 1 granddaughter, 1 sister, Joyce Washington, 1 great grandson, 1 nephew, Thomas (Sonny) Washington.